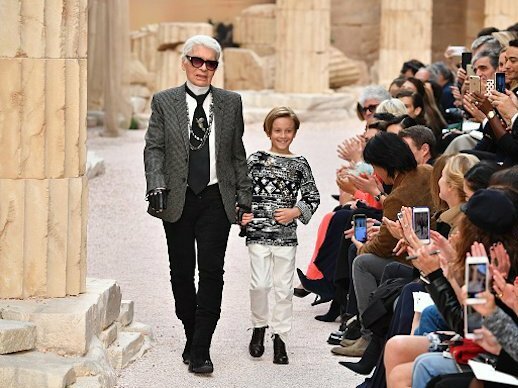 Karl Lagerfeld decided to bring Greece to Paris and that combination created the most glorious cruise show this year. Last year Lagerfeld took his guests to Cuba and made a spectacular show in the center of Havana (You can read about it in our post Cuba for Chanel). Now we are back to the Grand Palais in Paris, but everything reminds of … ancient Greece. See the best silhouettes from Chanel Cruise 2017/2018.